This Bushnell Elite scope uses a 4-16x zoom for better targeting of game at longer ranges. 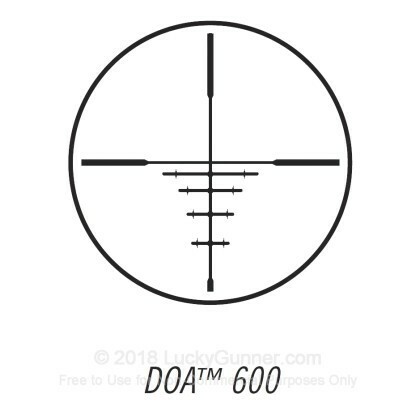 For extra precision, it features the DOA 600 reticle. 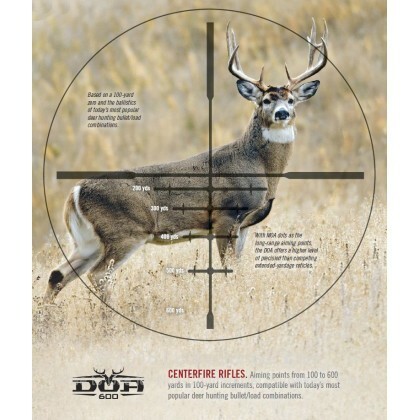 When sighted in at 100 yards, the DOA 600 gives you handy aiming points in 100-yard increments up to 600 yards. Like other scopes in the high-end Elite line, this optic uses ultra wide band coating to achieve 95% light transmission and superb clarity. 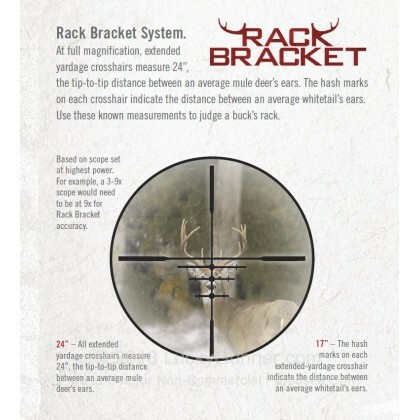 Bushnell's Rainguard HD water-repelling technology backs up these superb lenses in rainy conditions. While nitrogen purging also helps keep scopes moisture-proof, the Elite goes one step further and uses argon filling for an even higher level of resistance and protection. 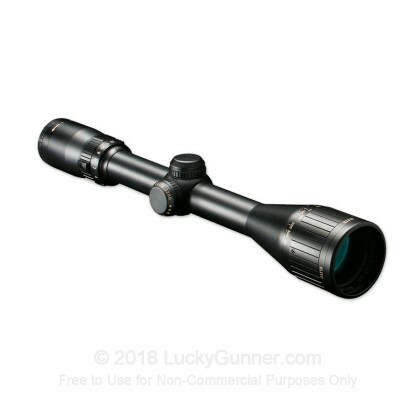 If you want a slightly higher magnification in a 40mm objective scope than a 3x9 can offer, this Bushnell Elite 4-16x is your best bet.